Lesley Riley started Mama Biscuit's, her own gourmet biscuit brand, in Frederick, Maryland, just four years ago, using her grandmother's cookbook as the starting point for a perfect biscuit. Flash forward to 2018, and Mama Biscuit is set to take a leap into the national market, as Walmart brought Riley's buttermilk biscuits to 55 stores in nine states starting Monday. "Friends and family used to call me Ma Biscuit," Riley said. "And here I am, full circle, sitting on the shelves of Walmart." 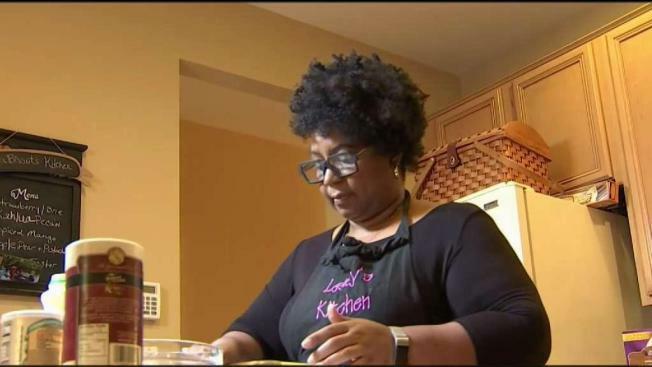 Mama Biscuit's is a woman- and minority-owned business that Riley started in her own kitchen. It was one of 500 companies and 750 products represented at Walmart's Open-Call event in June 2017. "They liked it," she said with a laugh. Walmart chose two of her 50 flavors for their stores: Cinnamon Vanilla Cream and Blueberry Lemon Cream. A binder holds the laminated original recipe that Riley's grandmother wrote down in about 1887. Today, Riley has 15 full-time employees handmaking biscuits in a 7,700-square-foot facility that she financed and runs herself. She said she is committed to keeping jobs in Maryland. And she has no plans of changing her recipe, or her secret ingredient: love.